Andy brings over 31 years of experience in community outreach and service to his “friends experiencing homelesssness”, as Andy puts it, as he leads Union Rescue Mission into a new era of unique and innovative services for Los Angeles’ Skid Row community. Andy’s vision for the future of Union Rescue Mission is to keep with the Mission’s long and distinguished history of service in the City of Los Angeles. Established in 1891, URM has always served the most desperate men, women and children of the community. One of Andy’s earliest challenges as Mission leader was to assist in the development of transitional housing for mothers and their children living in the Mission’s downtown facility and in neighboring SRO hotels in and around Skid Row. By working to establish the thriving Hope Gardens Family Center, he also worked to provide permanent supportive housing for senior women away from the mean streets of Los Angeles. Hope Gardens Family Center, in the foothills of the Angeles National Forest near Sylmar, was developed to serve this growing population of abandoned and desperately poor women with children and elderly women. The Senior Women’s Permanent Supportive Housing facility at Hope Gardens was opened in August 2006. The Women’s and Children’s Transitional Living Facility opened in late June of 2007. 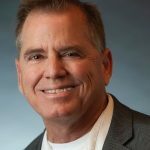 As CEO of Union Rescue Mission, Andy has had a pivotal role in reshaping hospital and governmental policies related to the “dumping” of homeless patients from hospitals on to the streets of Skid Row. Andy’s present focus is organizing and working with community partners to address the epidemic of homelessness in Los Angeles. Andy has many awards and honors for his community service, including: being named as the 930th Point of Light by President George Bush in 1992, receiving the 1999 Des Moines NAACP Community Service Award, and receiving the 2004 Martin Luther King, Jr. Award from the Interdenominational Ministerial Alliance of Pasadena. He was declared a Treasure of LA by the Central City Association in 2017. 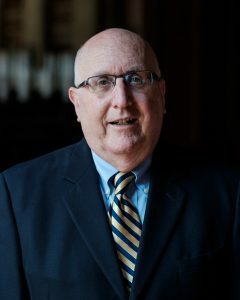 He has been featured in Leadership Journal’s article “Great to Good Churches”, CBS’s 60 Minutes, NBC’s Dateline, CNN and Social Media, and is a frequent guest speaker at conferences, schools, and clubs. Rev. Andy’s Blog was awarded 1st place for media success by the Association of Gospel Rescue Mission’s at their annual convention of 350 participating missions world-wide in 2008, 2009, 2010 and 2011. Andy was named the “2011 Fundraising Professional of the Year” by Fundraising Success Magazine for fundraising achievement in 2010. Andy received the Los Angeles Business Journal’s award for Nonprofit Leadership Excellence in June 2012. Andy and his wife Bonnie (a nurse) have six grown children, and delight in their grandchildren, Elijah, Ava Marie, Ezra, & Asher, twin grandsons Jack and Benjamin, & newest granddaughter, Isla. Andy and Bonnie have also welcomed over 25 children in Foster care alongside their children. Dan has always had a heart for using his administrative skills in Christian organizations. He earned a BS in Accounting and later an MBA from California State University, Northridge. He started his career in public accounting and then entered the aerospace industry as an accountant, auditor, financial analyst working his way into management. He was delighted to take the role as Controller at Grace Community Church, a ministry of over 10,000 members/attendees. He promoted to Business Administrator/CFO before transitioning to The Master’s University where he taught business classes and managed the Marketing Department of the Adult Degree Completion Program. In 2012, Dan joined Union Rescue Mission as Controller and is currently serving as Vice President of Finance/CFO. Dan has been married to Carol for 32 years. They have 4 children, Amanda 30, Rachel 29, Kimberlee 27 and Lydia 16. Attended the College of St. Paul’s & St. Mary’s in Cheltenham England, graduated from the University of La Verne in La Verne California. Received a Bachelor of Arts Degree in Public Relations with an emphasis in Broadcast Journalism. Also studied Drama for two years at Cross Roads Arts Academy in Los Angeles. Public Relations Director/Union Rescue Mission: 8/2006 to present. Duties include: Coordinating Media/Public Relations opportunities to help generate URM name recognition and to bring positive media attention to URM’s activities & services through all forms of media: print, radio, TV, Social media, News letters and spokesperson opportunities. Also coordinates all media relations, information and logistics for events/special stories. Also produced CEO’s weekly Video Blog. KTYM Radio Co-Host: 9/1995 to 10/2007. Co-Host of a weekly radio talk show “On The Positive Side”. Duties included: Producing commercials, Public Service announcements & voice-overs. Attended major community and corporate events, interviewed celebrities and special guests. Also interviewed Public Officials and gave special recognition to organizations & businesses that support the community. Public Relations/Resource Manager/Kedren Head Start/State Preschool & Family Service Center: 10/1991 to 8/2006. Duties include: Proposal writing, attending major social events. Setting up Press Conferences, producing newsletters, press releases & public service announcements. Also responsible for cultivating partnerships with community leaders & corporate representatives to raise funds. KACE Radio Air Personality/News/Sports & Entertainment Editor: 7/1982 to 12/1992. Duties included: writing & editing news stories, interviewing celebrity guest, attending press conferences, attending & reviewing concerts, plays and major motion pictures. Also produced commercials and voice-overs. Hobbies & Other Interest: Skiing, golfing reading and traveling. I have lived in Germany, Turkey and England. I am a member of West Angeles Church of God In Christ, a board member of RBD Communications and a Executive committee member of The Hollenbeck Youth Centers Los Angeles Inner City Games. Richard had a very successful 30+ year career in the fashion industry as Senior VP of Sales for a major U.S. women’s and girls’ apparel company. He was recruited onto the URM Board of Directors in 2013, by CEO Andy Bales, where he served as Board Development Chair for a five-year term. During his time on the Board, Richard helped create the very successful URM Walk to Fight Homelessness at LA Live in 2018. Richard’s positive board impact led to Andy’s recruitment of Richard onto the URM Senior Leadership Team in July of 2018 as VP of Philanthropy. Richard has a decade’s long record of supporting social justice, fighting homelessness and working to reducing poverty in Los Angeles and around the world. Using his expertise in sales, marketing and trend analysis, Richard has helped multiple non-profits to build their fundraising and marketing programs. Serving on the Board of Lutheran Social Services of Southern California, Richard helped rebrand the organization as LSS Community Care Centers of Southern California. Richard also helped reinvent their annual walk-a-thon event by rebranding it as the “LSS Walk to End Poverty,” which resulted in participation and funds increasing fivefold. 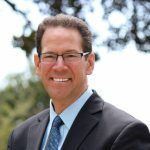 In addition, Richard has served in multiple leadership roles at several Los Angeles area churches. Richard helped to resurrect Bethel Lutheran Church in Encino in 2005. This struggling church was ready to close its doors and sell the property for $8.9 million to a developer to build a condo project. Richard, along with a handful of others, helped save the church and has built a thriving mission-driven community in the San Fernando Valley. Today, Bethel’s mission is to help fight homelessness in the Valley and poverty around the world. To that end, Richard, a wine collector and aficionado, helped create Bethels bi-annual “Wine into Water” event. It’s a large wine tasting and food pairing experience, with all proceeds going to drill fresh water wells in developing countries around the world. To date, Bethel has drilled over 20 fresh water wells in Africa and other third world countries. Born in New Orleans, LA, Richard attended Louisiana State University in Baton Rouge, where he received a BS degree in Marketing and Fashion Merchandising. He’s married to his college sweetheart, Patti, and they have one daughter, Taylor. 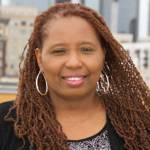 LaTonja Lindsey has a passion to serve the unforgotten ones. her passion in life is to empower others through the love of Christ. 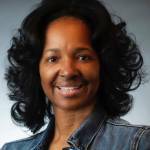 LaTonja has worked in non-profit Christian organizations for over 18 years. She has a background in administration, volunteer services, working with people who have disabilities, and community outreach. LaTonja has a BA in journalism. LaTonja joined URM in 2007. She has worked in various position at the mission, which has allowed her to understand the needs of the people. She now oversees all aspects of men, women, and family emergency services. LaTonja is a strong advocate for helping women achieve their full potential. She believes in sisterhood and strives to bring peace amongst all women she meets. LaTonja loves to travel and meet new people from all walks of life. LaTonja considers herself a foodie at heart and is always open to help broaden a person’s pallet. LaTonja loves Jesus, her family, friends, and the unknown.